Earned Sick Leave | HB 1 / SB 230 Earned sick leave hearings took place in the House and Senate committees this week. 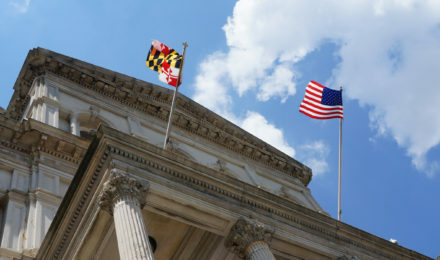 Family League submitted testimony of support for earned sick leave, which would go a long way in providing support to working parents and families in Baltimore. Free School Meals | HB 287 (SB 361)The Hunger Free Schools Act of 2017 had a hearing in the House Ways & Means Committee Thursday. This would allow all Baltimore City Public Schools to continue serving universal free school meals. This program removes stigma from children otherwise receiving subsidized meals, relieves the district from the administrative burden of processing tens of thousands of meal benefits forms, and allows parents to trust that their child will be nourished and ready to learn each day. Family League is a strong supporter of this bill, as we know how critical it is for Baltimore City students to be well fed and ready to learn each day. Our high school interns even took the day off to travel to Annapolis and testify on the importance of school meals. The House Appropriations held a budget hearing on the Governor’s Office for Children on Thursday. Family League President & CEO Jonathon Rondeau was on hand to share how Family League helps fund initiatives across the City; to learn more, check out our state district investment maps here. This bill would prohibit prekindergarten students from being suspended or expelled from public schools, requiring the school to provide specified supports to address the student’s behavior, and requiring the school system to remedy the impact of the student’s behavior through specified intervention methods. Establishing the Workgroup, and requiring the Workgroup to study and make recommendations regarding an implementation plan to make quality, full–day prekindergarten universally available to children who are 4 years old.